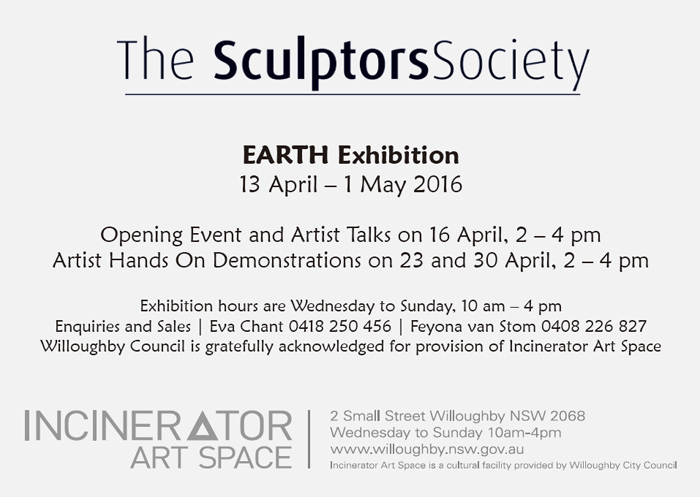 My work exhibited at “Incinerator Exhibition”, Willoughby, NSW, Australia. 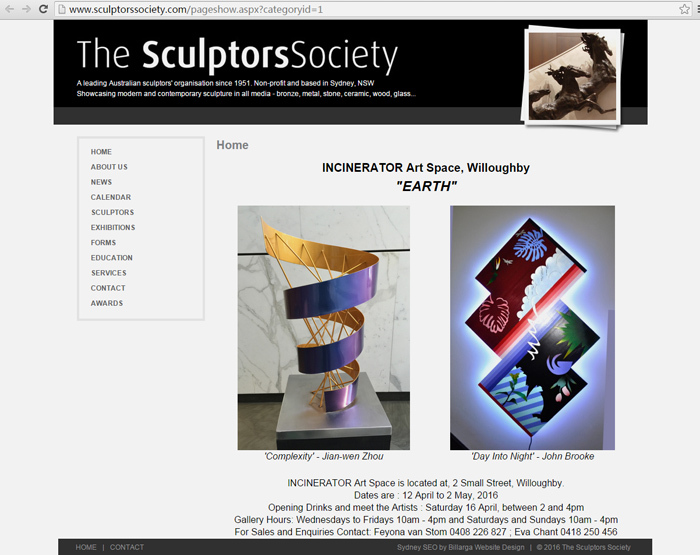 The Sculptors Society’s third exhibition at Incinerator Art Space will present a dynamic mixture of ideas in bronze, clay, stone, metals and found objects in both realistic and abstracted form; all responding to the sculptors’ ideas about either the earth we live on or the earth we come from. Pop by for a hands-on look at how artists work. A sculptor will demonstrate techniques on Saturday afternoons. 16th, 23rd and 30th April from 2 – 4pm.